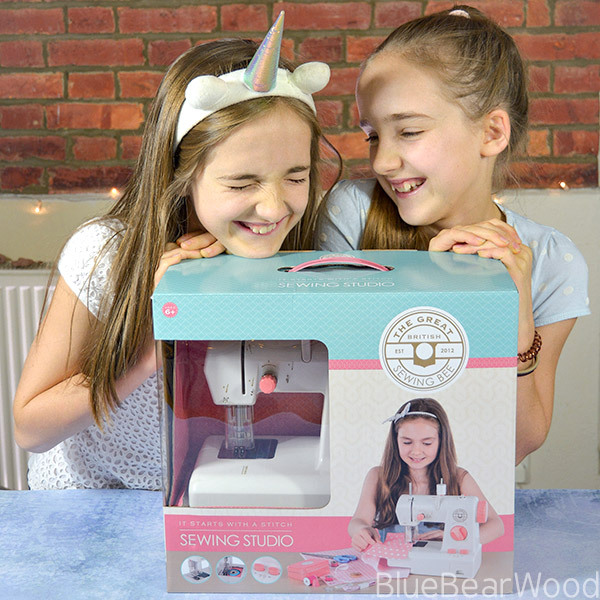 As crafty as we are as a family, it saddens me to say, that none of my girls had ever used a sewing machine until we were sent The Great British Sewing Bee Sewing Studio by Toyrific. It’s mainly due to time. We’ve hand sewn some projects, but in order for them to use my sewing machine I have to be able to dedicate a chunk of time to teach them how to use it and also watch over them to make sure they don’t do anything silly with it… and I never seem to have that time! So when The Great British Sewing Bee Sewing Studio arrived there was a mix of excitement and nervousness! – Sewing Machine – Size H23.5, W12, D21cm. 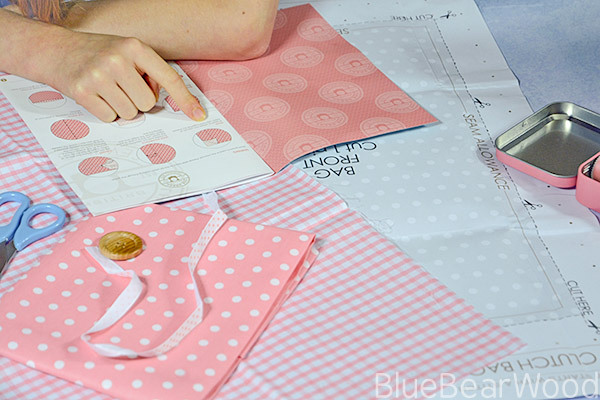 – Clutch bag project – includes pattern, fabric, scissors, ribbon and wooden button. 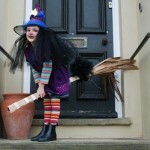 You will also require batteries (4 x AA not included). 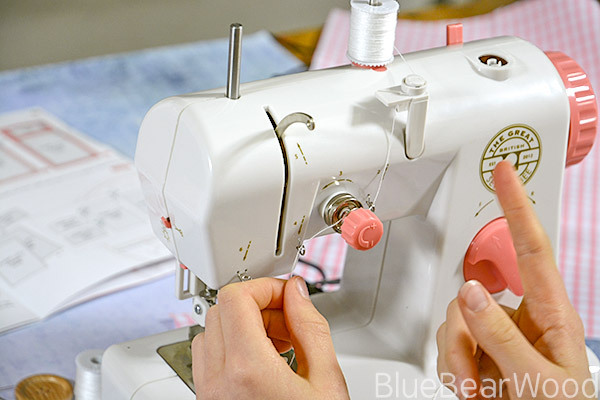 The sewing machine is easy to set up and use. 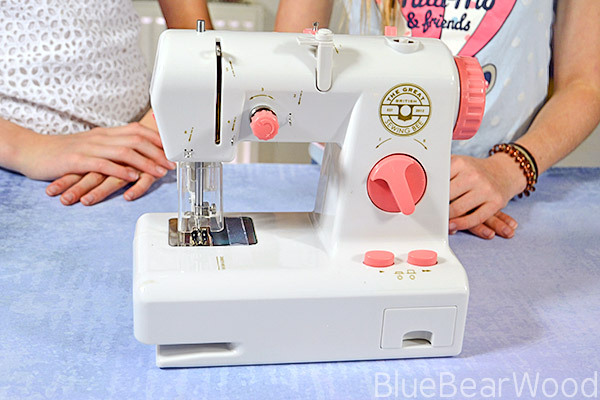 As well as the instruction manual, the sewing machine uses numbers and arrows to help thread the machine. 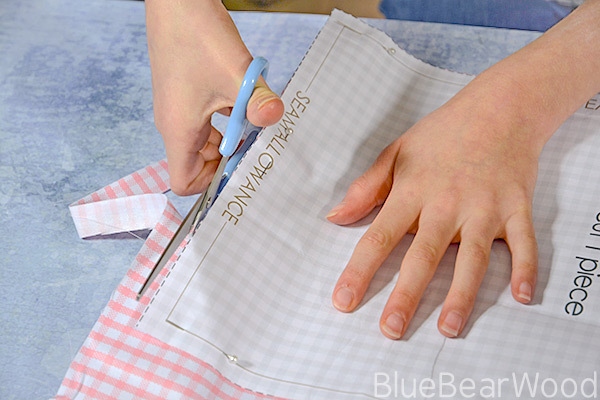 There is only one stitch (running stitch) but you can adjust the length of the stitch and go in reverse. The tension control is a bit poor and we needed to practice quite a bit on the scraps we had left over to get the tension working properly. Ro & Ra liked having the clear safety guard in place to protect their fingers and I expect they will naturally stop using it as their confidence builds up and they feel more in control of the machine. 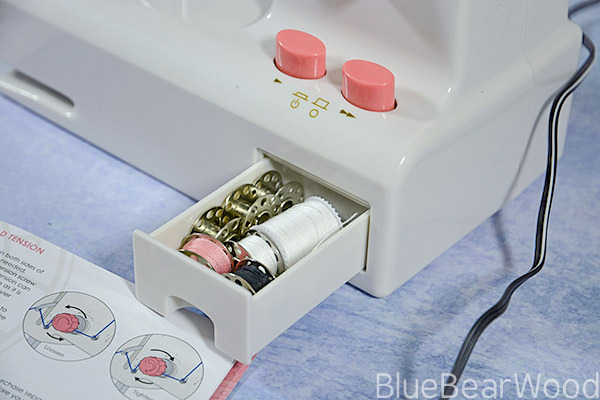 There are two buttons that you can press (slower and faster) to make the machine automatically sew if your child has trouble reaching or using the foot peddle as well. The foot peddle feels a bit plastic but works fine. I think that’s because I’m used to a metal one. Ro & Ra didn’t have any issues or feel it was delicate to use. 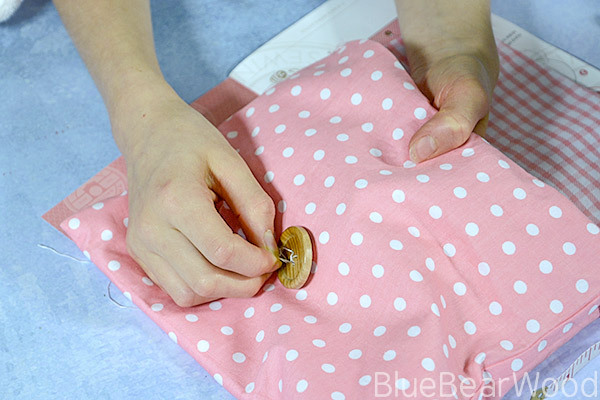 There’s also a handy little compartment to store bobbins and thread with the machine. I thought the machine was a bit noisy but it didn’t bother Ro & Ra at all. 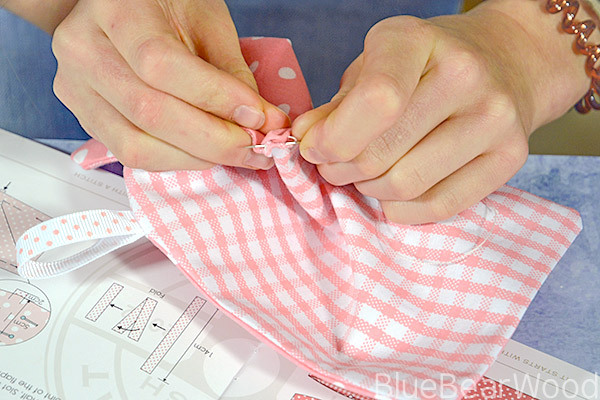 The clutch bag project requires quite a few sewing skills. Then you’ll need to pin the pattern onto the fabric and cut it out (some alignment of the fabric pattern is required here). The machine sewing is mainly nice straight lines (there’s a little bit of curving on the flap. There’s a little bit af careful fabric manipulation once you’ve sewn piece together. There’s even a little hand sewing required to make the clutch bag. If you want to see how the clutch turned out watch the video towards the top of the page (coming soon). 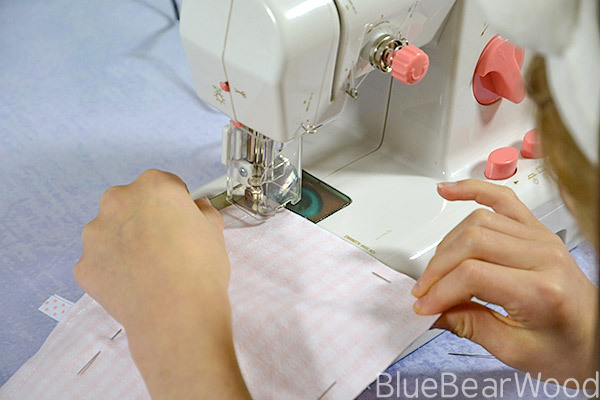 Although the manual is very well laid out and easy to follow it doesn’t tell you ‘how to’ sew, as in how to position, hold or move the fabric through the machine. 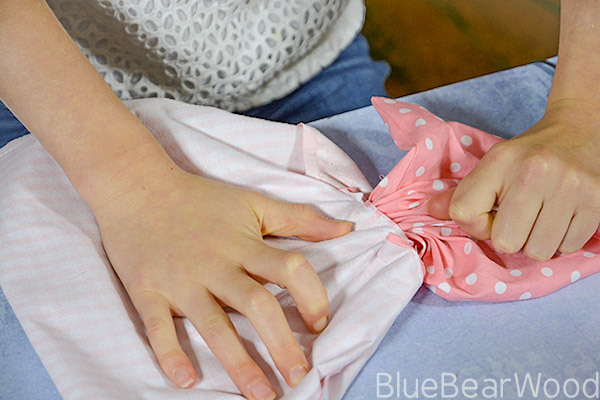 I was able to help the girls with all of the project because I’ve used a sewing machine before but a total novice (parent and child) may struggle. But to be honest I think they’d struggle with any machine and google is always on hand. There was a bit of the clutch bag that needed the machine to sew through quite a few layers of the fabric and the machine did struggle a bit with this. But we managed to get over this area by using the machine manually (rotating control wheel by hand and not using the peddle) to move the needle over these areas. 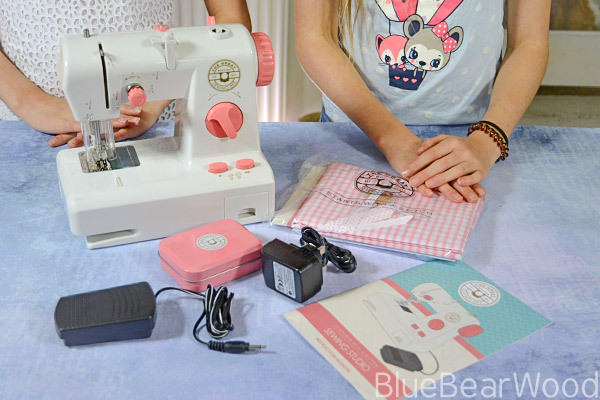 As a starter sewing machine for kids I think The Great British Sewing Bee Sewing Studio is an ok sewing machine. It doesn’t have all the whistles and bells that some machines have but you can sew and hem most things with just a running stitch, so I don’t think the lack of a zig zag is a problem. The sewing machine is aimed at 6+. 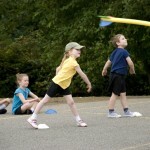 Younger kids will need help but older tweens will be fine once they’ve been shown a few times how to use it. It’s small and compact which means it’s easy to tuck away on a shelf and more importantly because it’s easy to use Ro & Ra can get it out and use it without my help. I’m really looking forward to seeing all the projects we have in books that they will now be able to tackle … on their own. Disclaimer: we were sent The Great British Ewing Bee Sewing Studio for the purpose of this review. All images and content are my own.